Whether you're out and about, at your desk, or at the gym - our pure British natural mineral water is perfect for every type of busy life, helping to keep you healthily hydrated*. Our product is 100% natural. Free from additives, artificial colours and preservatives. Zero calories as is sugar free. Let's do this, Britain - today is here for the taking! 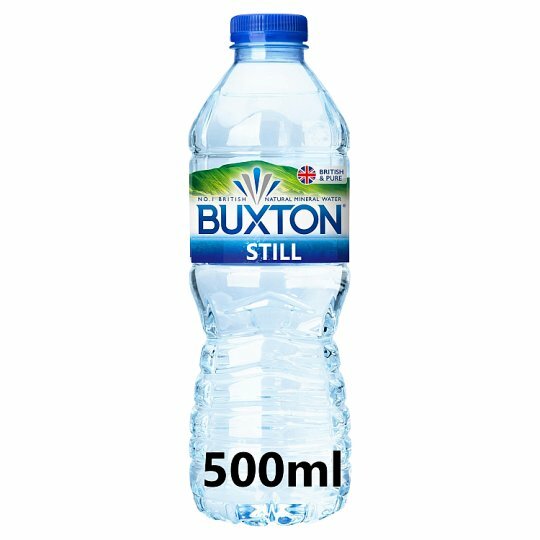 Luckily for you, Buxton's Natural Mineral Water is always on hand. Helping you get the most out of your day by revitalising you on the go with our natural water. Perfect for the gym, the office, your busy week! Store in a cool, dry, clean place away from light, strong odours or chemicals. Consume within 3 days of opening., Best Before end: see bottle.